This flame-red offspring of the famous Knock Out kicks the competition up a notch when it comes to disease resistance. Home Run has a phenomenal fortitude against the dreaded black spot (like its father). But, unlike Dad, it is also completely resistant to powdery mildew & has a higher level of tolerance to downy as well. 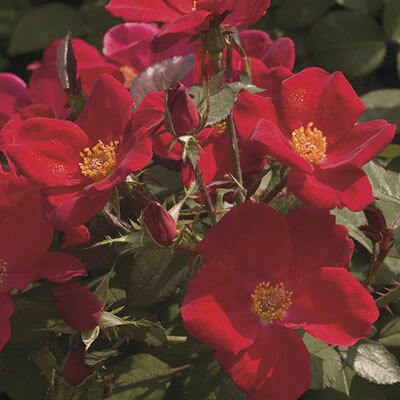 Rounded, bushy, fast-to-flower and nearly always in color. A grand slam in both the landscape and a container. Coast to coast…it's the cleanest. Deepest red in cool temps.